i’ve rented houses all over LA for the past 9 years. i started in an apartment complex downtown across from my college, FIDM. then i moved in with a roommate i met at work into to a spanish bungalow in west hollywood and lived there for a little over 2 years. after that i found an adorable craftsman duplex with a great yard in silver lake. then, me and my boyfriend at the time moved into a modern loft in the arts district (pictured above and below). and NOW i’m in a mid-century apartment in silver lake and have lived here for a little over 2 years. apartment/home hunting can be a total drag, you find a place that sounds amazing online and you roll up to check it out in person and it looks completely different then you thought or, it has no closets, and the kitchen is so tiny you couldn’t move in it. rent.com is a great site that allows you to browse apartments in your area, see if they are available and schedule a visit all from one site. 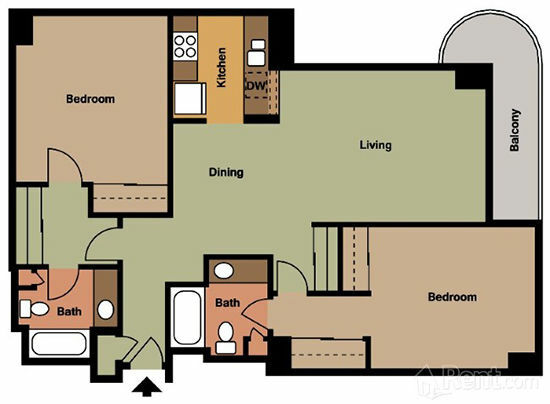 plus, they give you all sorts of floor plans so that you can actually see if the room details without having to physically go there. you could even use the 3D view to start planning your layout before you move in so you’d know what’s going where on move-in day. 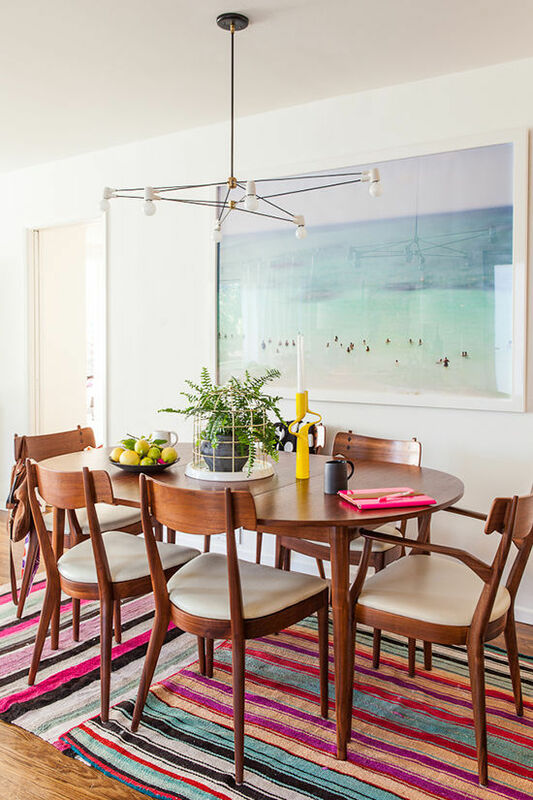 with all of that moving (and growing up) i’ve found a couple of tips that really make your rental feel like your own, and ways to work with what you got. it’s very rare that you find a rental with everything that’s on your dream home wish list. the kitchen in my current place is far from what i would choose, but you learn to make the rest the best you can! here’s a few very simple things that make a huge difference in a rental, and won’t break the bank. 1. PAINT. usually when i move into a place i try my hardest to request bright white paint in all the rooms. 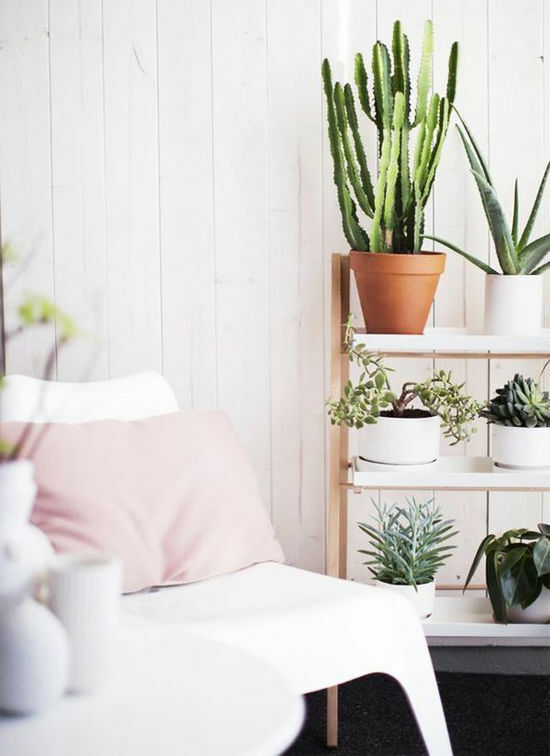 i’ve had places that had green walls, beige walls…you name it. usually, landlords are totally open to painting it white and they will more often than not pay for the painting since they have to repaint before you move in anyway. the white walls really opens up the space, makes the rooms appear larger, and gives you a great blank canvas to work with. my current bedroom photo is above! 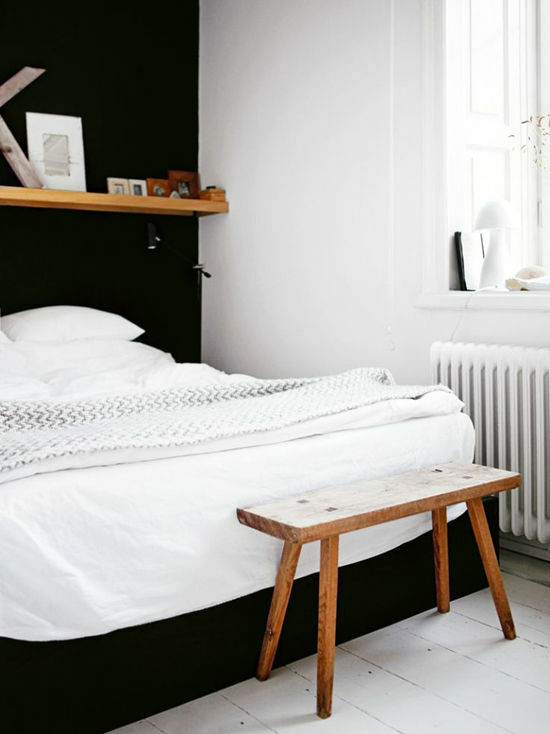 i love the one black wall in a bedroom that really anchors the bed. 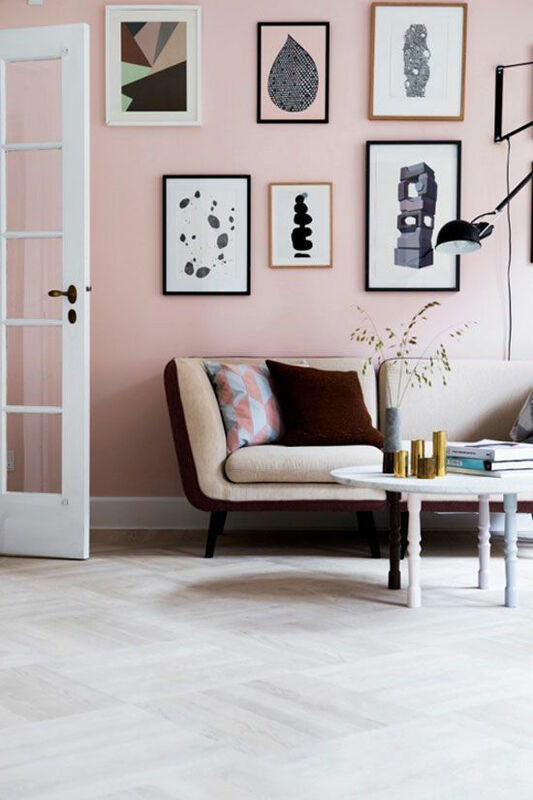 and that pastel pink in that living room is so special. it makes the art look amazing! 2. PLANTS, PLANTS, PLANTS. i’m a huge fan of bringing plants all over the home. 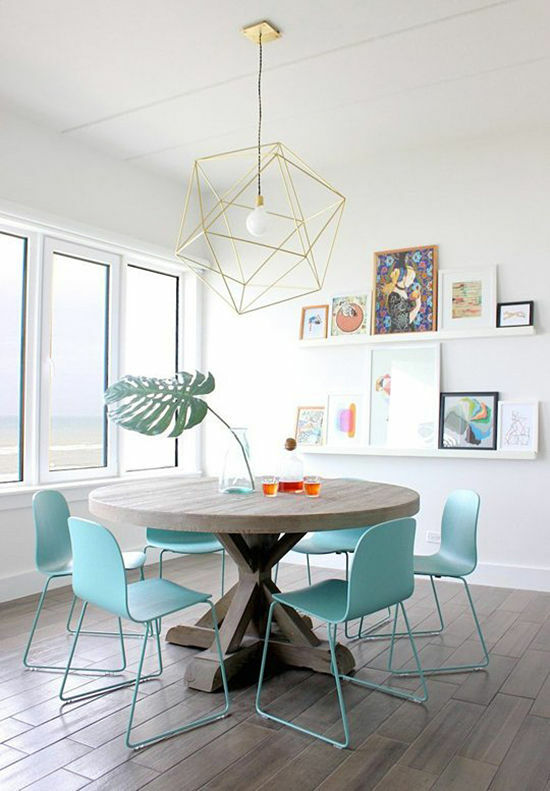 they make the space feel fresh and alive, they add color and dimension, and really make the space look great. 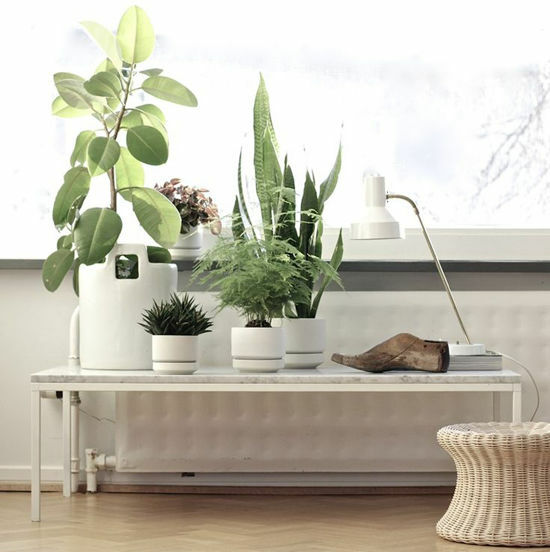 when we did my living room makeover (see here) we added a plant wall by the windows on a long white bench. it’s my favorite part of the room, and adds a lot of drama when you walk into the house. 3. TEXTURE. let’s say you aren’t a huge fan of the carpets in your place, or mirrored closets. time to add some distractions! 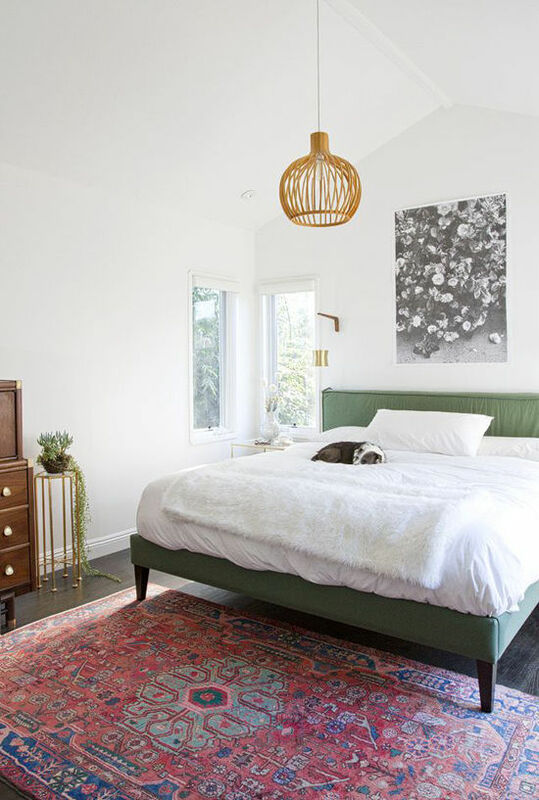 textured rugs, pillows, and blankets can transform the space, and draw your eye to them. see how your eyes go straight towards those pom poms?! 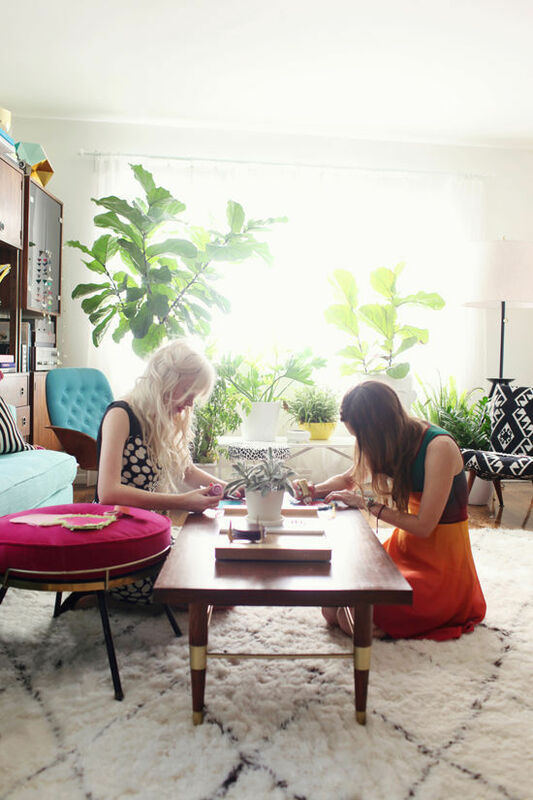 investing in a good rug you love can make all the difference. i had carpet in my first downtown apartment and just layered a rug i liked more on top of it! 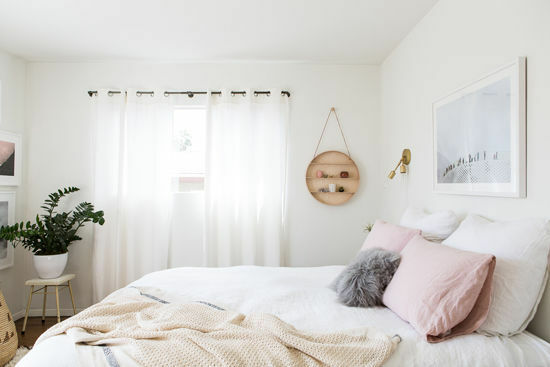 this pink bedroom above is combining all 3 tips so far…a cool paint accent, nice rug and blanket textures and a plant by the window! 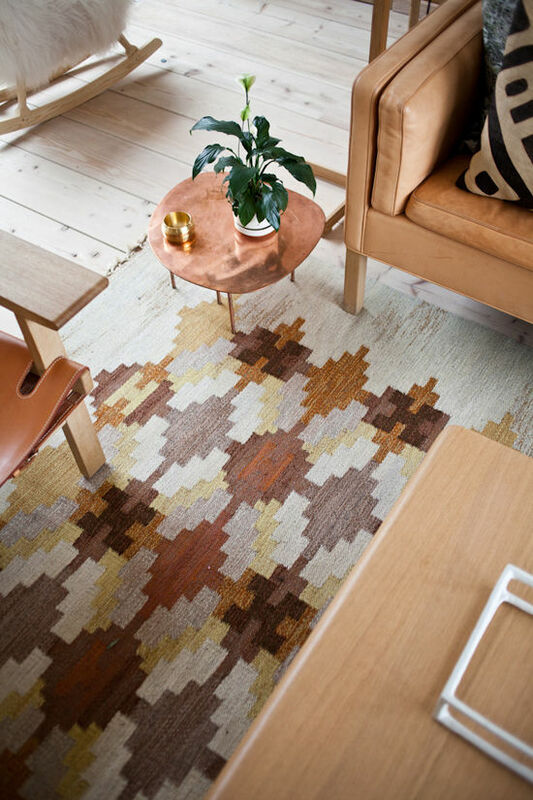 i love these moroccan rugs in this etsy shop here. those would add so much liveliness to your space. try a wall hanging (remember this easy DIY? 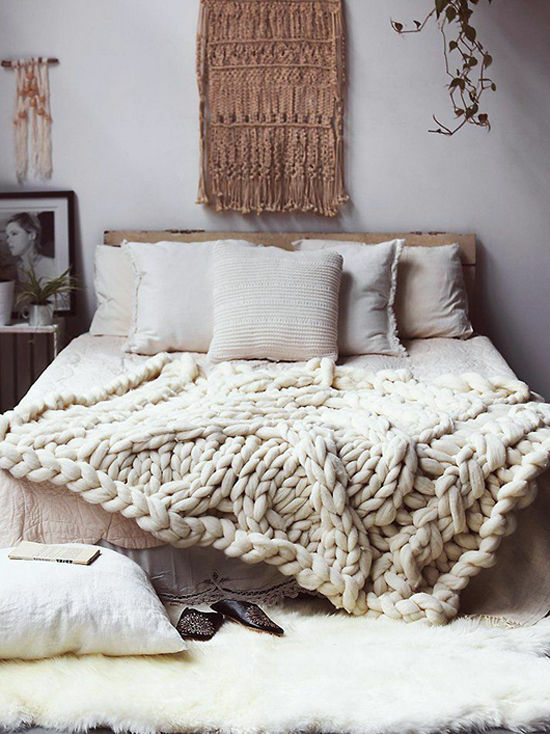 ), a big knitted blanket, or a fuzzy rug next to your bed. 4. CURTAINS. something that most definitely changes a room is curtains. my current room came with really ugly, flimsy curtain rods and short sheer curtains. when i decided to change those out for floor length curtains and nicer rods, my room already looked 50% better. here’s my current bedroom curtains below…i got the industrial pipe rods and the linen curtains from west elm (here and here) i also really like these brass rods! 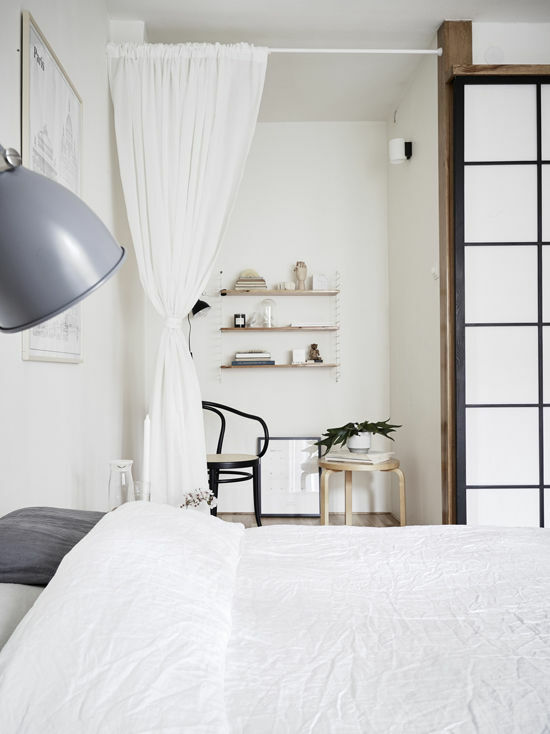 the linen curtains create a beautiful diffused light in the room. 5. LIGHTING. 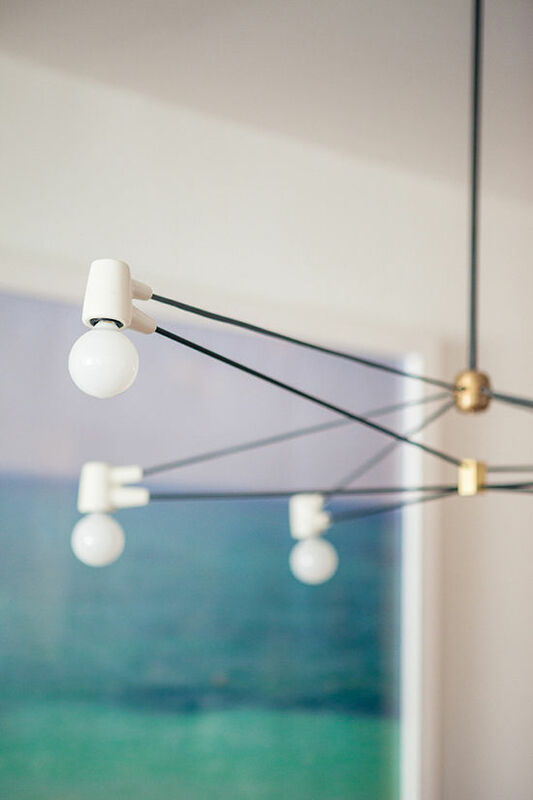 whether you want to get some great table lamps, or standing lamps to add cozy light to your room, lighting is key. overhead light fixtures are something that i hadn’t changed out until this house, and man does it make the room so much better. 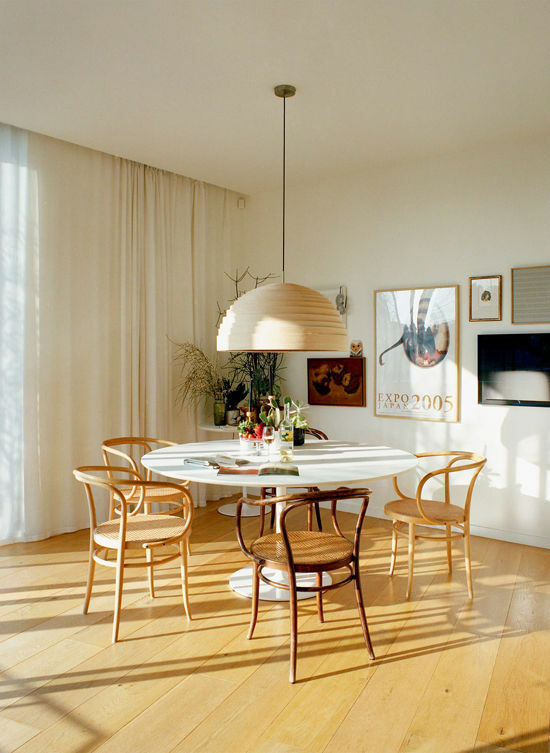 luckily my landlord said i could change out some of the light fixtures if i wanted, so i added a modern chandelier (shown below) in my dining room, a modernica saucer lamp in my bedroom and two wall sconces by my bed from cedar and moss. i found the layout of my first downtown apartment on rent.com that i shared with my college roommate. if only i had used some of these tips there! did you find any of these tips helpful? what are some of your favorite ways to spice up your rental? do you have apartment hunting horror stories? Great tips, Bri, thanks! I just got accepted for my first apartment and I can’t wait to start personalizing it and making it my own. Thanks, Bri! I love the tips on personalizing. Rugs, curtains, and art are the biggest things for me. Unfortunately rent.com doesn’t have much to offer for the areas surrounding Boston, so it’s mainly Craigslist for Somerville! These are such gorgeous spaces! 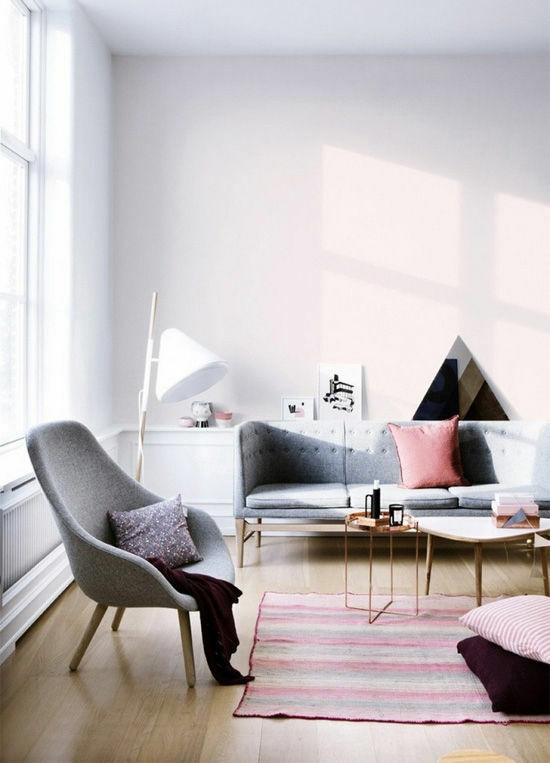 I really hope I manage to decorate my future home as chic as some of these! I clicked on your link to your old post about your apartment makeover and I found it super helpful. I recently moved across the country (to Pasadena, actually) and I’ve been trying to make my space feel whole. I get the 75% done feeling you had talked about still. 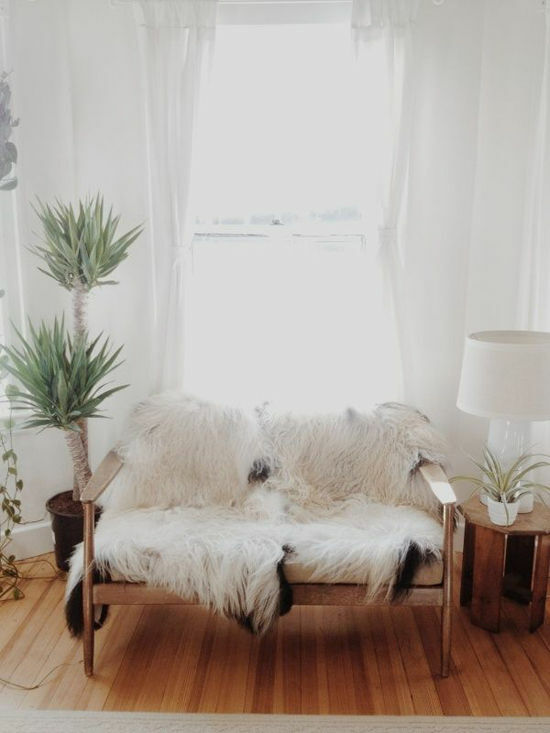 I have this gorgeous couch but I’m not into it’s color at all anymore and I was wondering if you could tell me about how you changed your couch color? And where you reupholstered your pink seat? I would really appreciate it! Nice places you’ve had, ok, maybe except the one in the first picture, my first thought of it was something like I wouldn’t stay in an apartment like this one. But at a second thought, why not? I like the rest for their traditional feel. These are great tips! I’ve just moved into my first rented accommodation with my boyfriend where we’re finally in a position to have our own style and I’m finding trouble fitting around what is right and isn’t about a rented space. Thanks for your help! This is so awesome! I have been living in a rental since I left my parent’s house and it’s always hard to conceptualize a non-invasive design. Thanks so much for the inspiration! These are great tips, Bri! I’m so jealous of your interior design skills! Your homes definitely don’t look like rentals. These are fabulous tips. They are also helpful to people who move a lot. When my husband was active duty military I was always looking for ways to make base housing or rentals look homey and have our personality. I tried to invest in some things and supplement with less expensive items. I love curtains too! These are phenomenal tips – and the photos are simply stunning. So glad you shared! 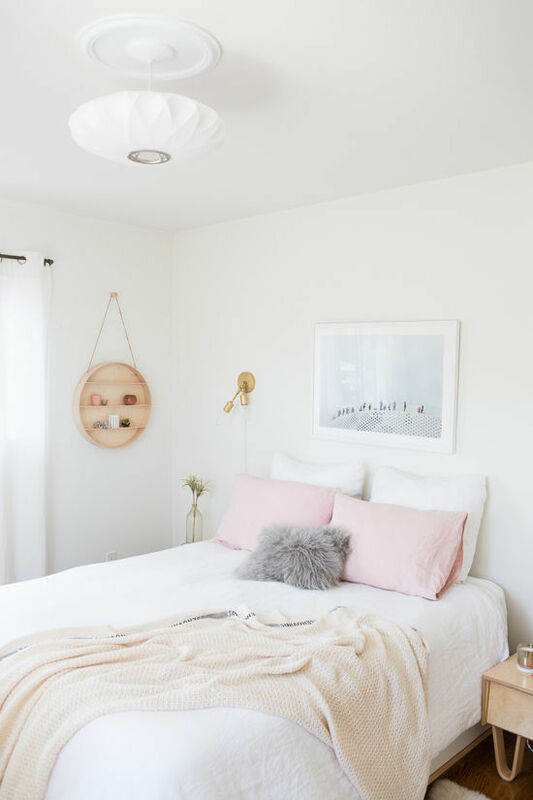 Does anyone who where to find this pom pom blanket? I agree it’s amazing! 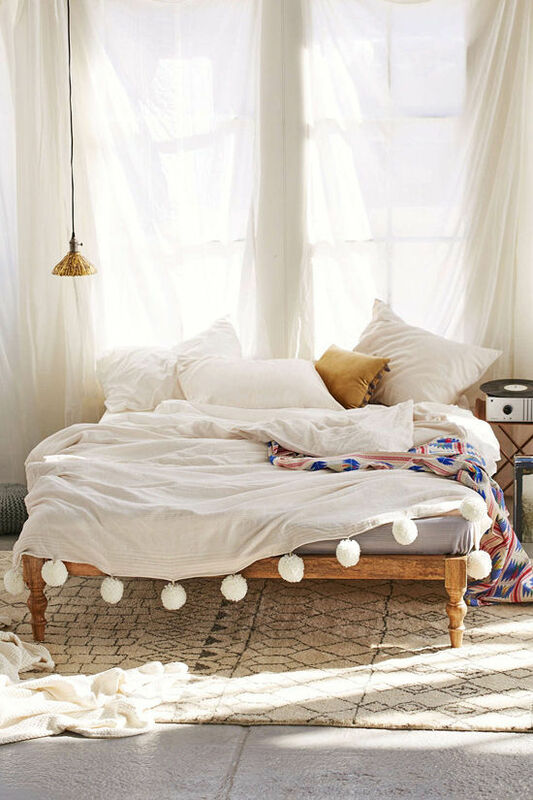 I’ m very fan of the duvet cover with POM POM. Do you know the brand ? What is that blueish/white paint on the walls of the 7th picture down? 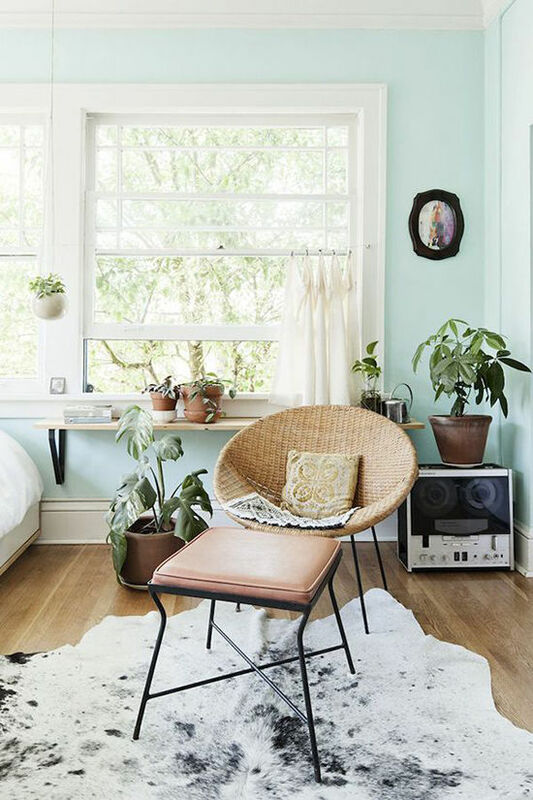 I’m trying to paint my room that color, but I don’t have the name of the paint! Please, someone get back to me on this! Aww okay! Thank you for getting back to me so quickly!